The Maple Lake Improvement District (MLID) started out as a Lake Association where dues were collected annually from the property owners. 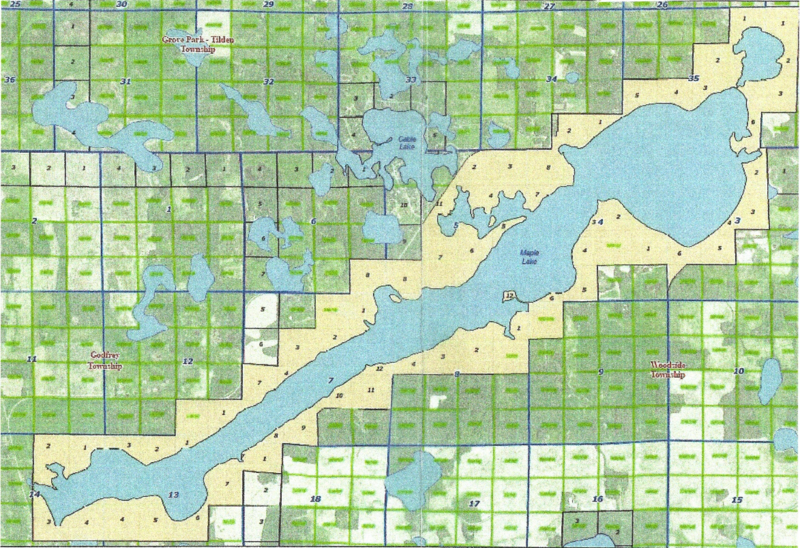 In 1987 the "Maple Lake Improvement District" was established with an initial Board of Directors. The MLID is financed by assessments on each improved lot in the Maple Lake District. These assessments are used to pay for things that benefit the district like monthly utility bills for the street lights around the lake, water quality testing, aeration equipment, electricity to run the aerators and mosquito spraying in the summer, among other things. The MLID Board consists of 7 lake property owners that are elected for a 4-year term at the annual meeting. This meeting is held the 2nd Saturday of July each year at the Mentor Community Center. If you would like to be on the board, please let a current board member know by the June meeting and your name will be placed on the ballot. Regular board meetings are held on the 2nd Thursday of each month at 7:00 p.m. at the Mentor Community Center. These meetings are open to the public and if you want to be on the agenda, please contact a board member, or email info@maplelakedistrict.com. The MLID has a representative that attends Polk County Planning and Zoning Commission meetings and the board acts in an advisory capacity to the commission. The Polk County Commissioners have the final authority to regulate planning & zoning issues. The MLID also has a representative on the Aquatic Invasive Species Taskforce (AIS). They help in the fight against AIS in lakes within Polk County. Each winter, the board members test the oxygen level of the lake and when it is deemed necessary, they install aerators to keep the oxygen at a safe level for the fish population. Along with that, the board takes water samples 4 times each summer in 4 different locations and sends them to RMB Laboratories for analysis. The results can be found on the RMB website at www.rmbel.info. The board works to support the long-term preservation of Maple Lake and hopes to help make it an appealing place for residents and visitors.